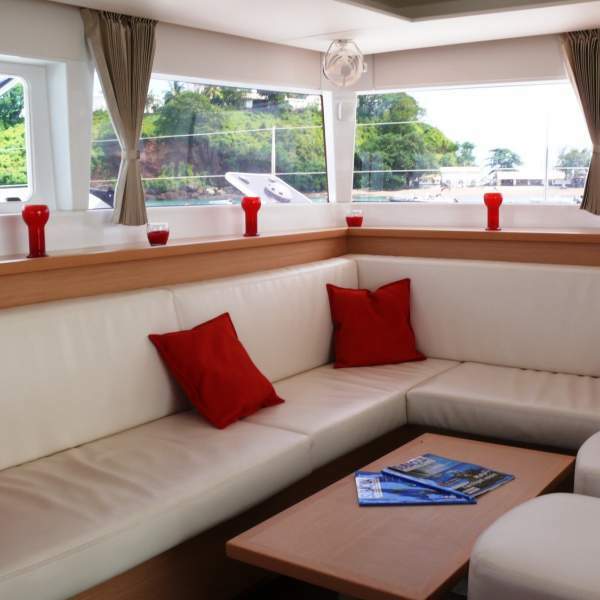 The Lagoon 450, the luxury catamaran is perfect for a cruise in Mayotte. 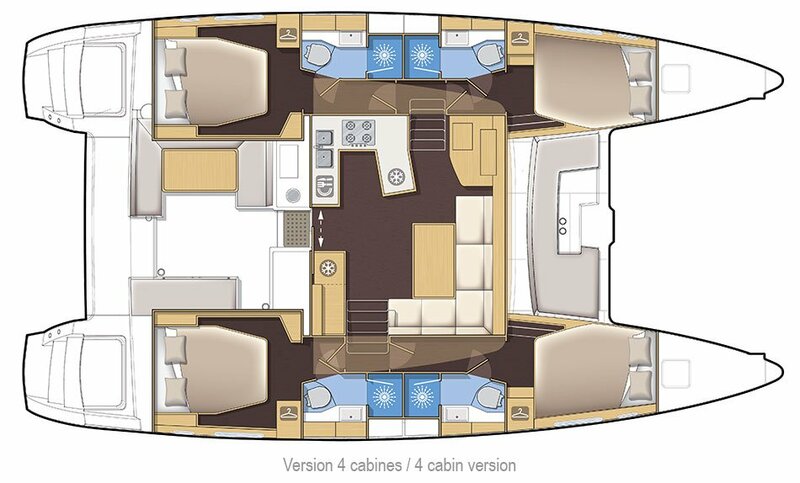 Spacious and comfortable, it offers many spaces to relax: a square near the trampolines, a large cockpit and even a spacious flybridge. On board, Patrick, your captain will show you the most beautiful anchorages while Gwen, your hostess, will prepare you dishes worthy of the biggest restaurants. A crew ready to help meet all your onboard needs. 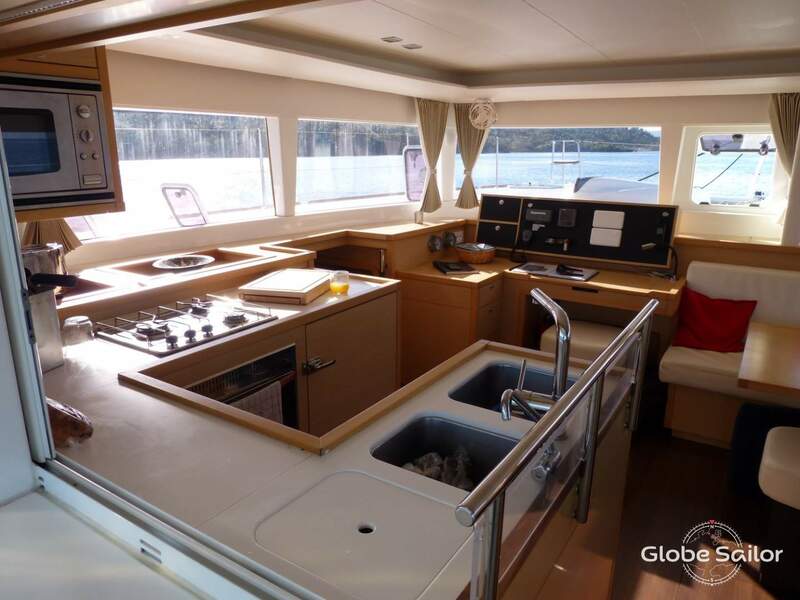 The Lagoon 450 sleeps up to 8 people with its 4 double cabins, each with a private bathroom. This is a typical route that can be adapted to suit your personal wishes. Create your customized itinerary for a unique cruise. 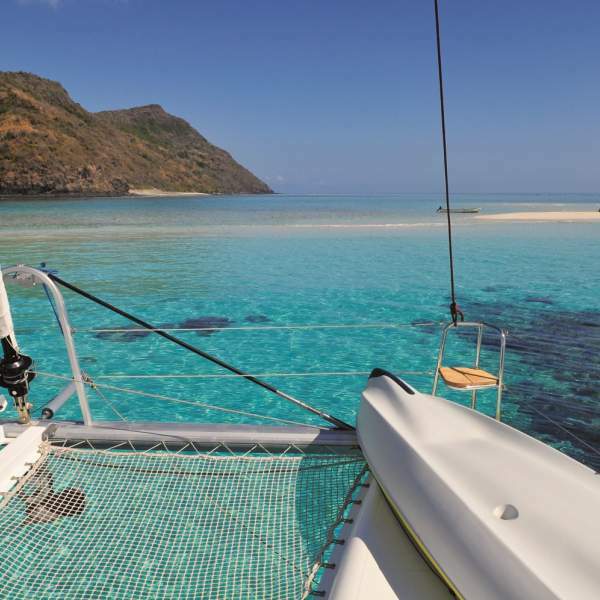 From Dzaoudzi, your captain will take you to the best-known diving site in Mayotte: the 'Passe en S'. This large S-shaped pass is so named because of its beautiful, sinuous shape which resembles the meandering course of a stream, offering many stunning sites for diving enthusiasts. 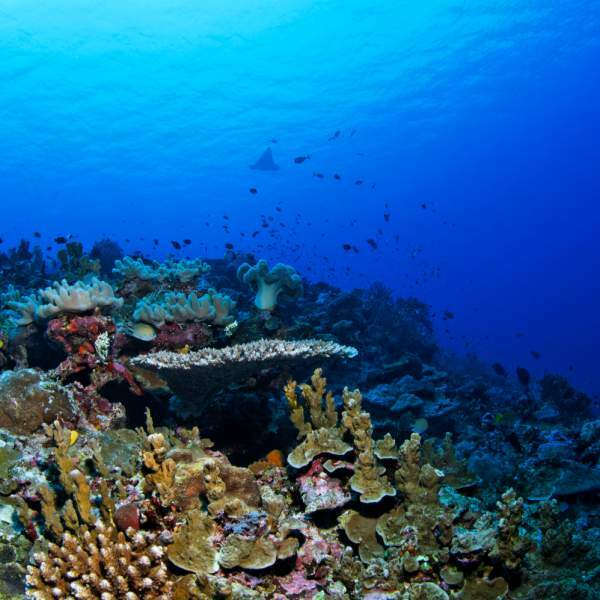 At 4 kilometers long, it boasts two reefs rich with extraordinary fauna. Bandrélé is home to a beautiful cove of clear, sparkling water on the west coast, a small beach on its northern coast and a beautiful falling a few metres from the north east shore. Possibility to go around the island by canoe. At low tide, you can read the fine white sands. These headlands attract many seabirds. These little islands are often given magical properties. 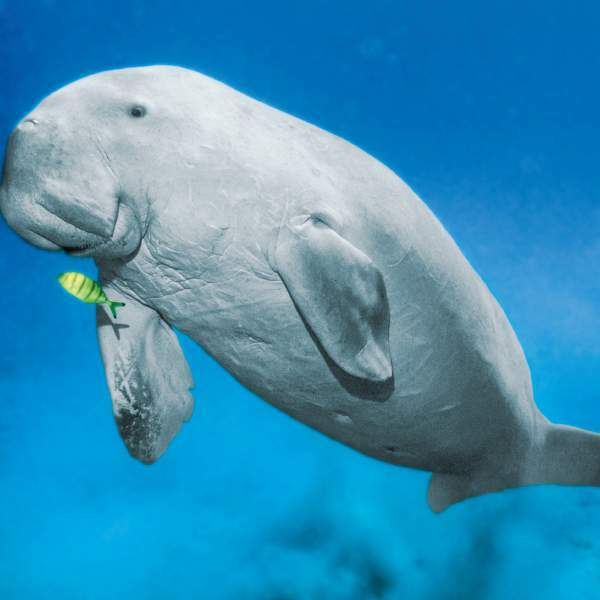 The Saziley Marine Park is a protected marine area between the southern tip of Grande Terre and the "Island of White Sands", so you may have the privilege of meeting the rare Dugongs (marine mammals). 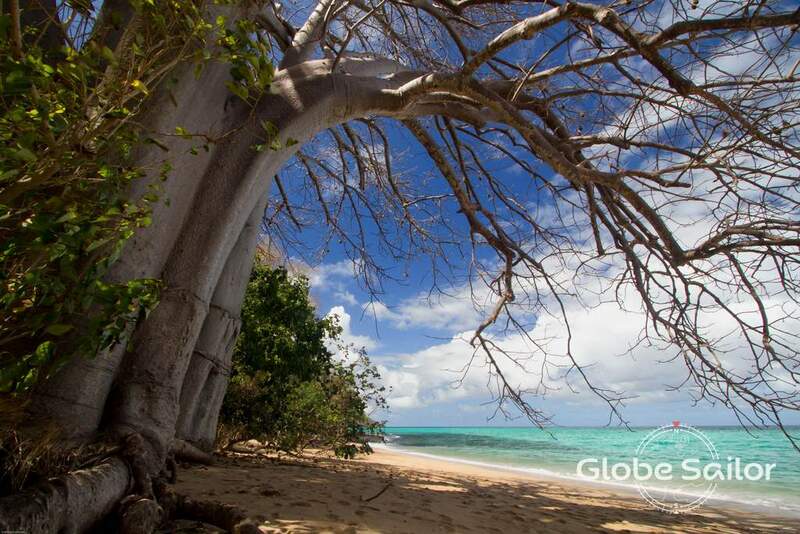 Bordered by baobabs at the southern tip of the island, Saziley beach is one of Mayotte's paradisiacal beaches. 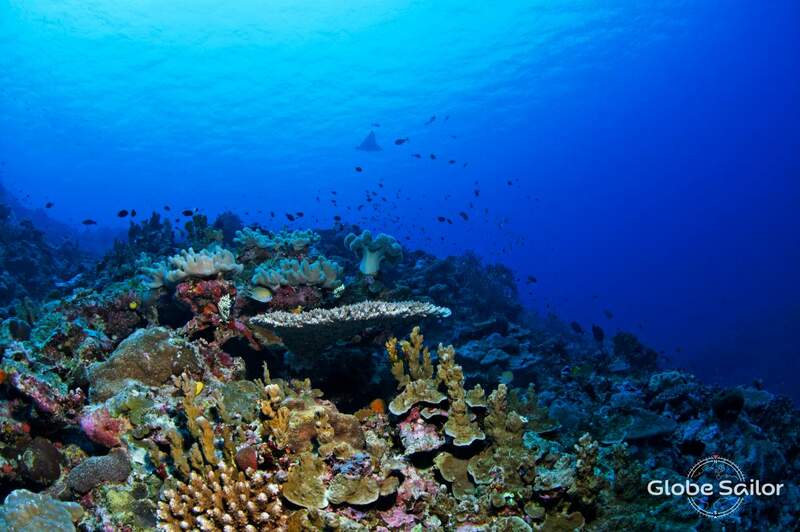 It is most well known for being home to a large population of turtles. During your trip you will discover a multitude of colourful fish along the falls, as well as corals of all sizes and colors. The beach of N'Gouja is the most famous of all the island. Here you can catch sight of many turtles frolicking a dozen meters from shore. 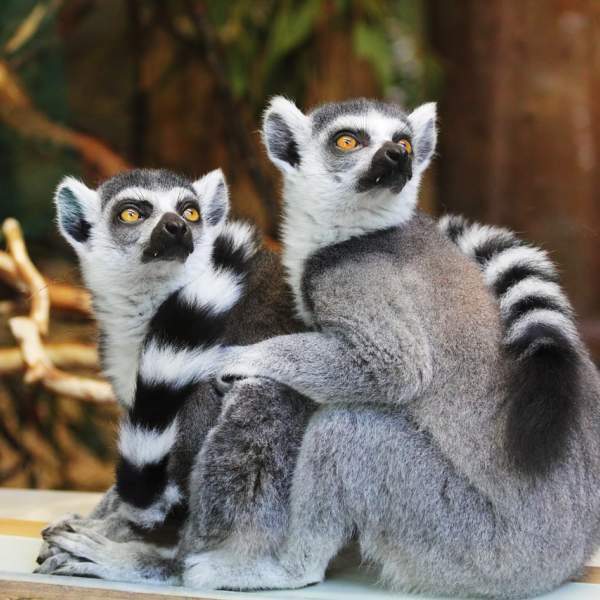 At the end of the day, observe the Makis (ring-tailed lemurs). 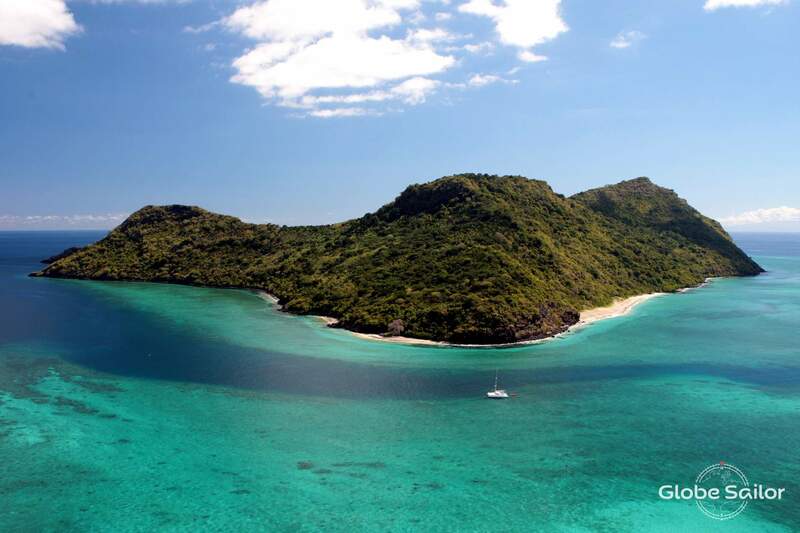 Boueni Bay is an emerald pearl, drowned in an ocean of green - certainly one of Mayotte's most beautiful bays. Before reaching the bay, you will pass the Bwe Foro, or the 'pierced rock'. 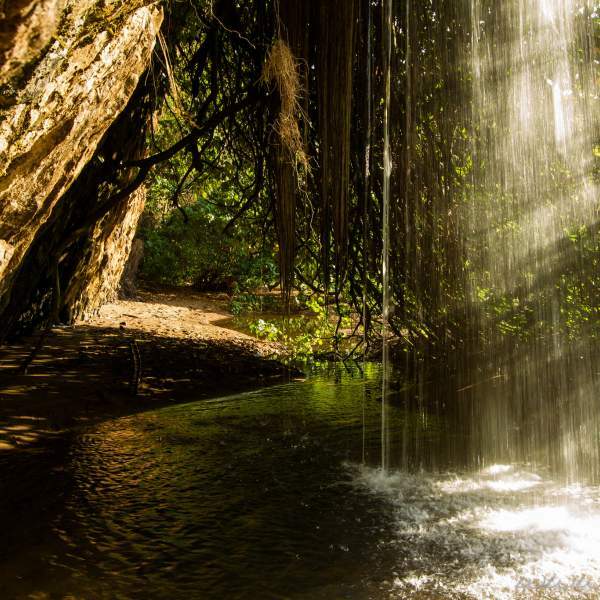 The Soulou waterfall is a magical and mysterious sight, where fresh water cascades into the sea at high tide. 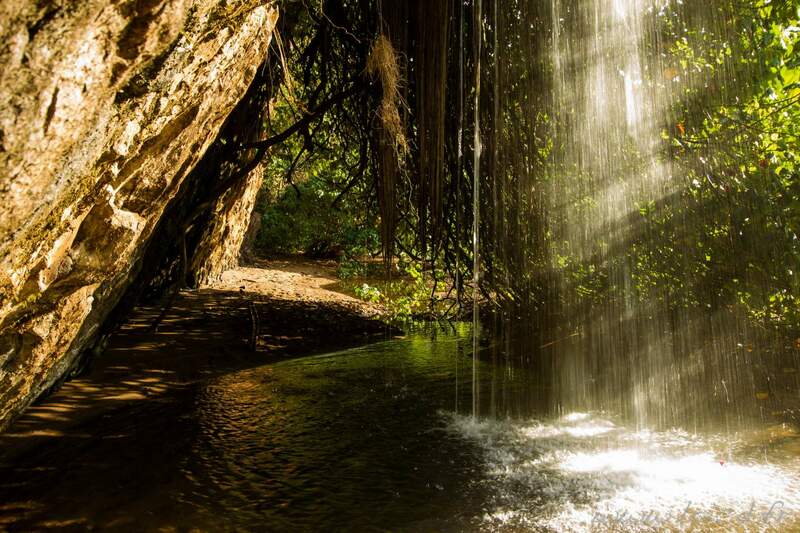 Just off the little island of Mtsamboro is an untouched area of natural beauty where you can soak up the peaceful ambience. A long beach of straw-yellow sand is hidden away, surrounded by trees and turquoise waters, creating an ideal spot for a picnic. 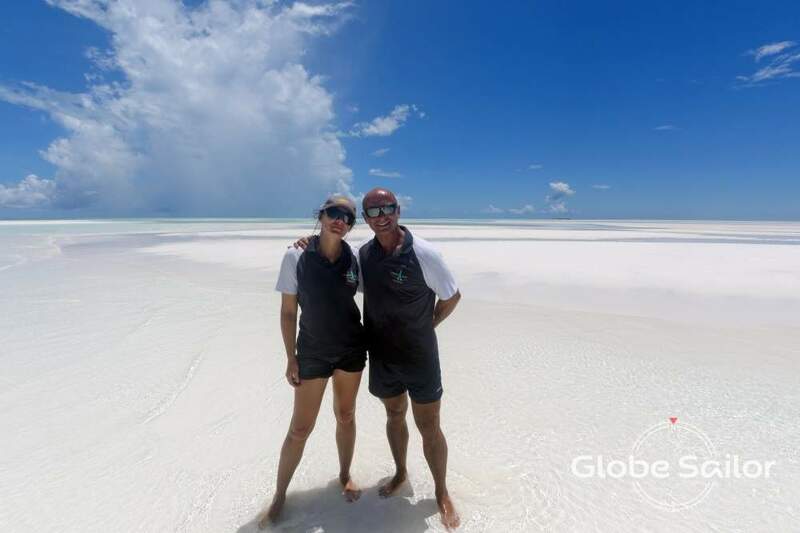 To the north east of M'Tsamboro the water is transparent, and at low tide, if you're lucky you can see turtles and coral. 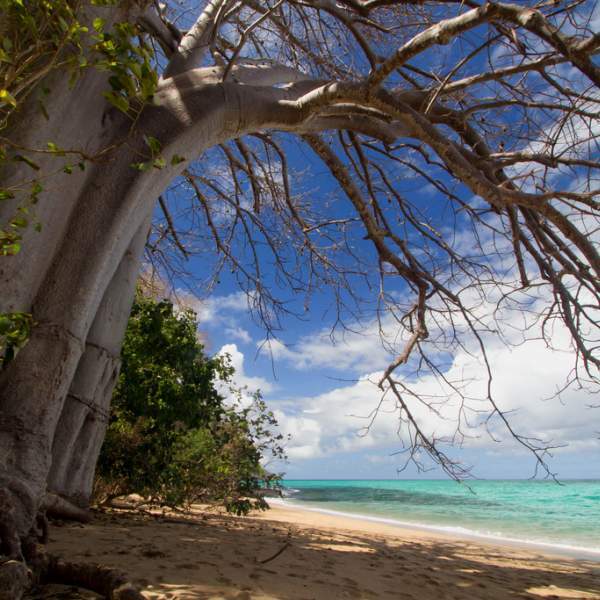 The Bay of Handrema is a bay formed by the Northern coast of the island of Mayotte. Often deserted, the beach is scattered with palm trees and is a popular spot for turtles. 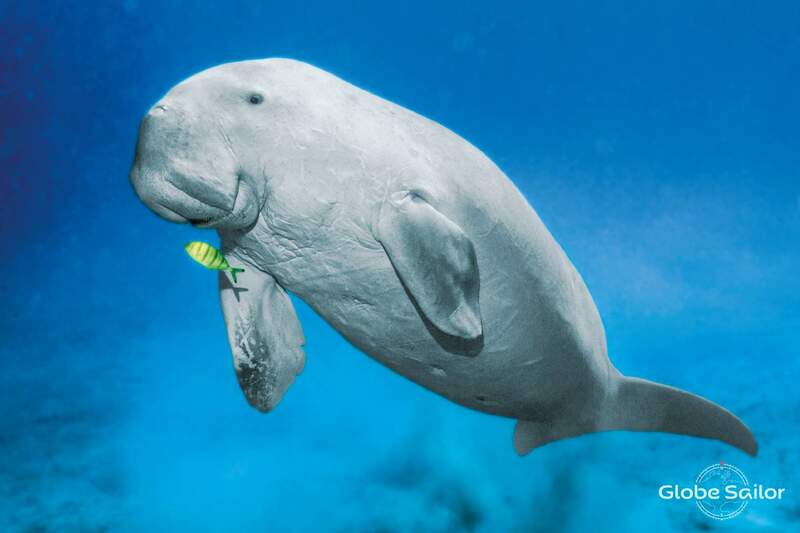 You will have the chance to see them up close as they basque in the turquoise waters less than 300 metres from the shore. 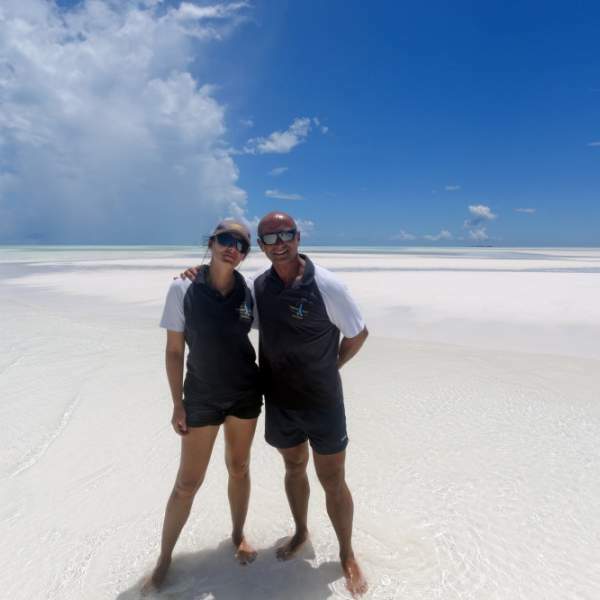 After 7 days navigating on one of the most beautiful lagoons in the world, you will leave your crew and return to Dzaoudzi, with enough memories to last a lifetime! What happens if I need to cancel my cruise? 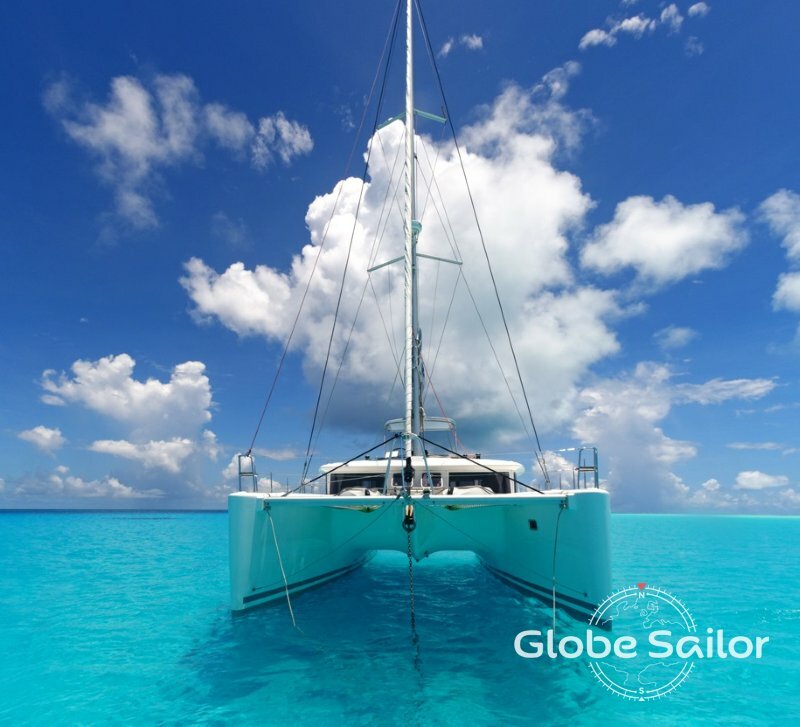 If you wish to make a cancellation, you should contact your GlobeSailor advisor as soon as possible. Whatever the circumstances, you will be charged the following cancellation fees, depending on when the cancellation is made: up to 90 days before departure = 25%; 89 to 60 days before departure = 50%; 59 to 30 days before departure = 75%; 29 days or less before departure = 100% of the total cost of your booking. We recommend that you sign up for cancellation insurance with your personal insurance provider. What payments must I make in order to confirm my booking? 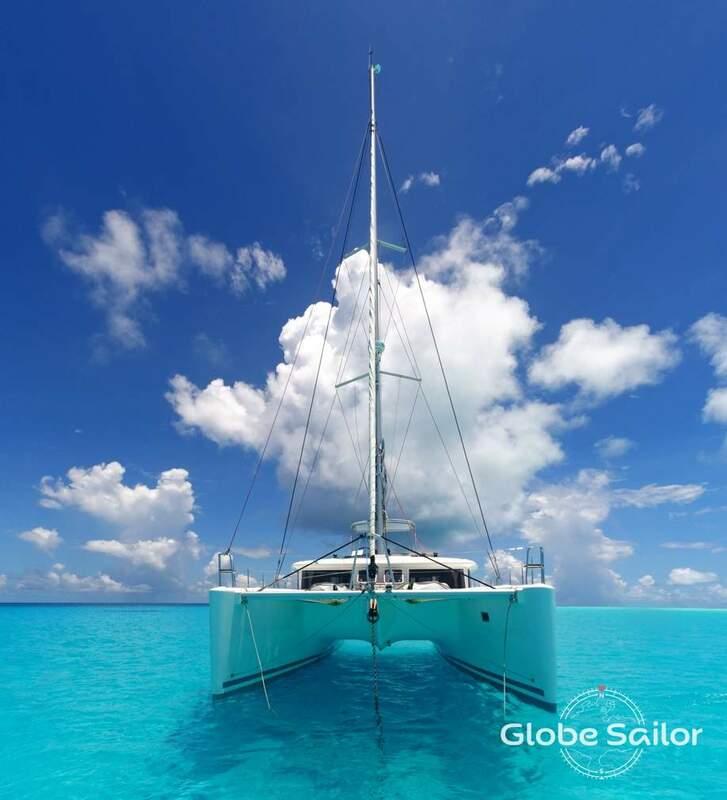 To confirm your booking you should inform your GlobeSailor advisor who will put an option (hold) on the cabin for a certain time until we receive your down payment. The booking will only be considered final once we have received your down payment (by bank transfer, Paypal or credit card) which is 50% of the total amount. A 100% down payment is required for any booking made less than one month before departure. The balance should be paid no later than one month before boarding, either to the base or to GlobeSailor. Mandatory extras and options will be payable locally. Be sure to check with your advisor or the base prior to departure. What does a skipper do? And what about a hostess? 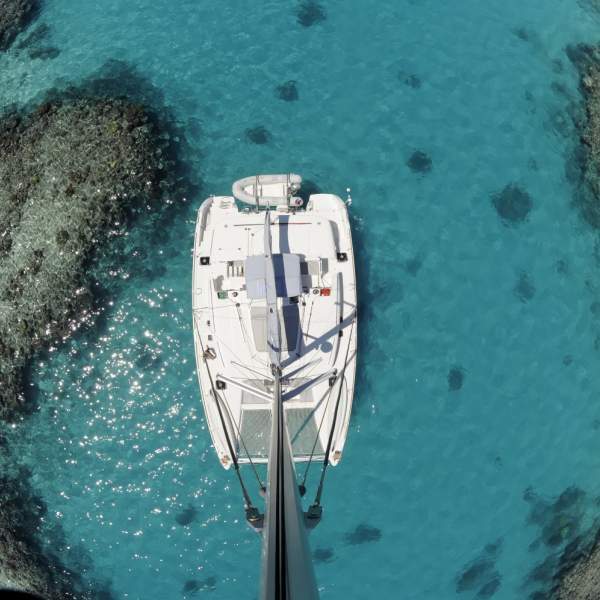 All the skippers which we offer are qualified, have the necessary professional licenses and speak fluent English. If you have any particular demands regarding a skipper make sure to let us know. 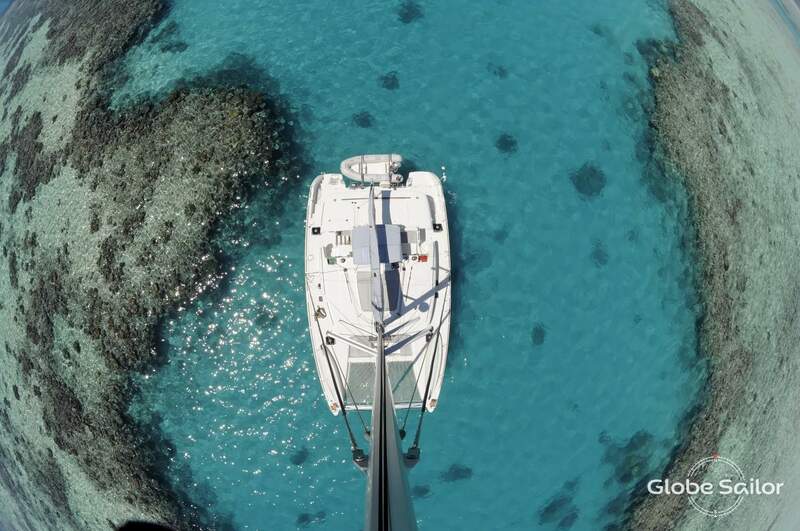 The skipper is in charge of navigation and your safety on board. Feel free to try out some of the manoeuvres with him; he will be happy to teach you the basics of sailing. 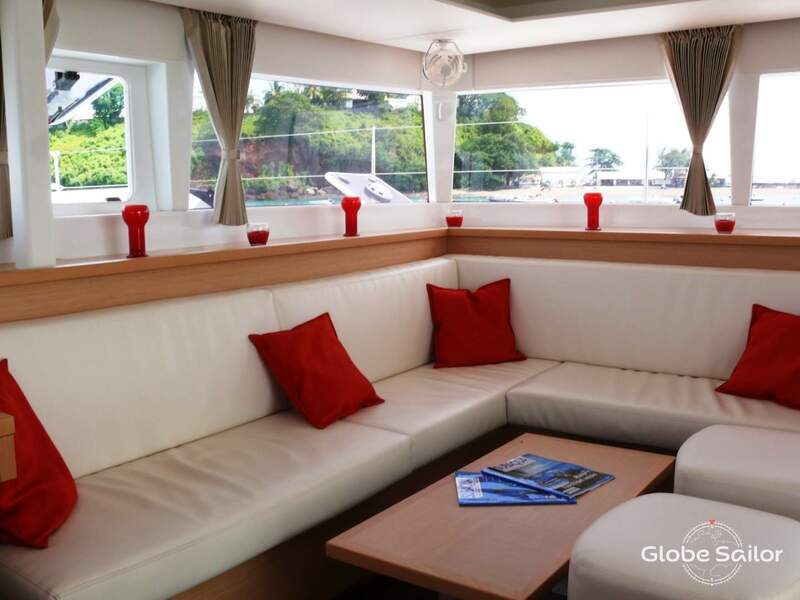 Regarding sleeping arrangements, the skipper will sleep on board, either in a cabin or in the common area (saloon). The skipper is not in charge of cooking or washing up. 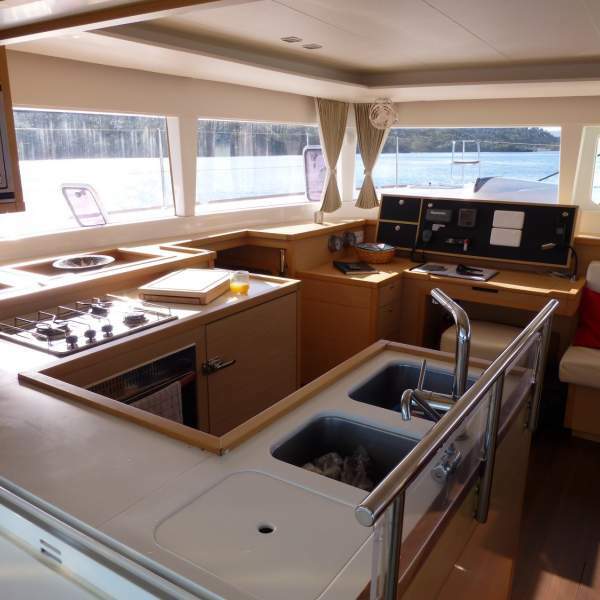 A hostess (or cook) will prepare your meals, clean the saloon area and the cabins and make sure the boat is kept tidy. How can I arrange my transfer from the airport to the boat? 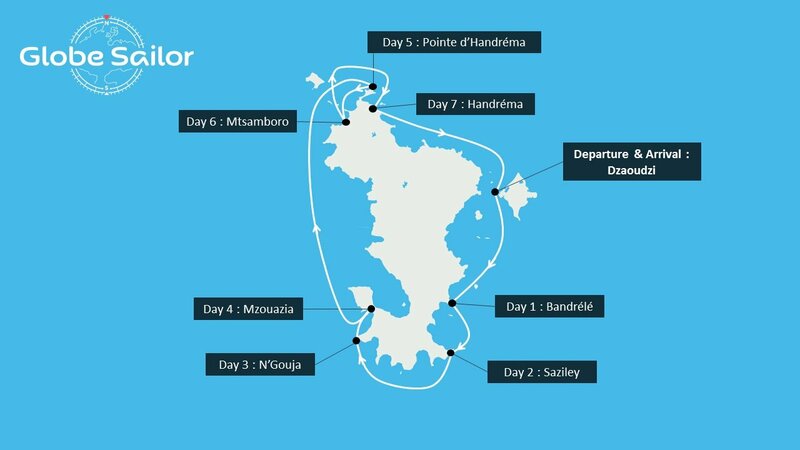 After you have made your booking the base manager will contact you to give you more information on your cruise. Make sure you confirm what time you will be arriving and also your flight details. A taxi or minibus can meet you at the airport and bring you directly to the boat at an extra cost. What is the time difference in Mayotte? The time difference in Mayotte is GMT+3 hours. What currency is used in Mayotte? The currency used in Mayotte is the Euro (€). 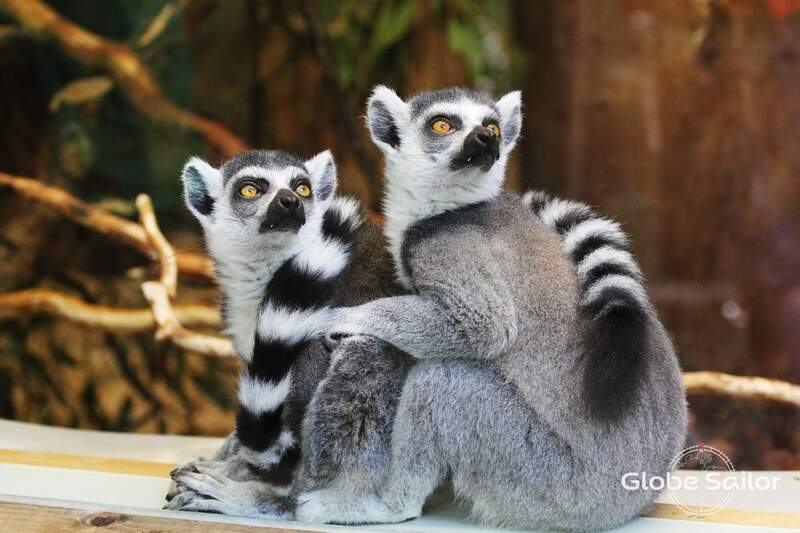 What vaccinations are advised for travelling to Mayotte? No vaccination is officially mandatory for European travellers. However, you should however check your "universal" vaccinations: tetanus, poliomyelitis, typhoid and hepatitis A and B. We advise you before traveling abroad to consult your country's foregin travel advice (e.g. https://www.gov.uk/foreign-travel-advice/mayotte). 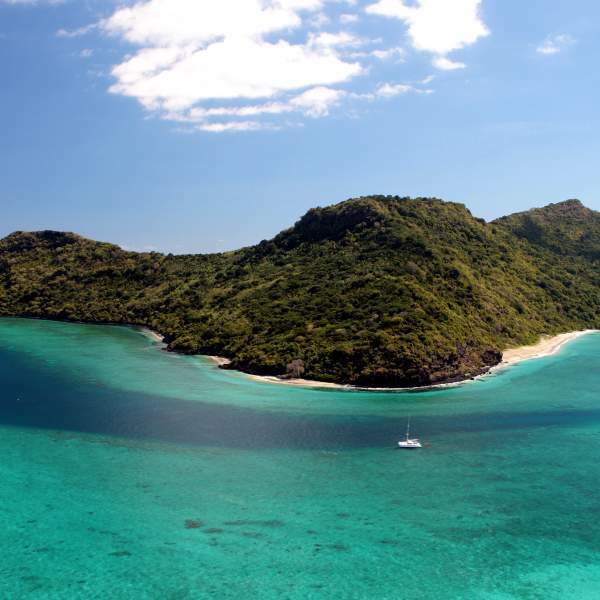 What documents are needed in order to travel to Mayotte? If you are a British citizen, you only need a passport valid for the duration of your trip, no visa required. Other nationals should consult http://www.diplomatie.gouv.fr. We have selected the very best boats, each with excellent crew members who will ensure you have a relaxing and unforgettable holiday! 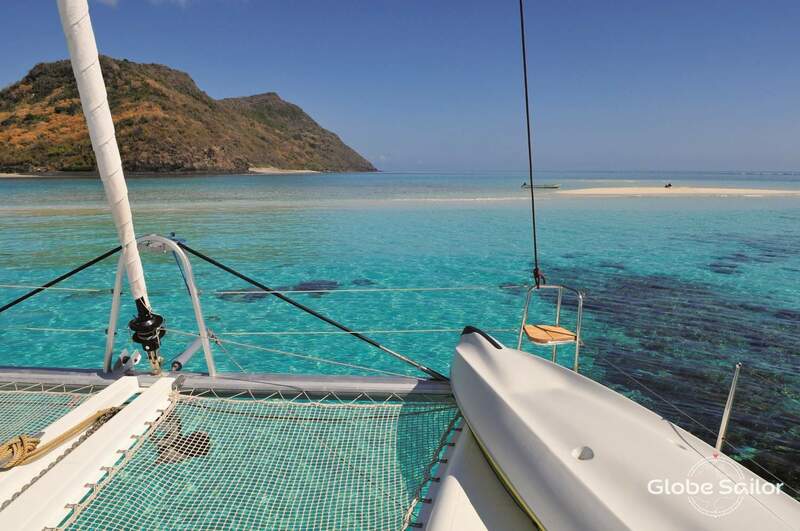 No sailing experience required: discover a different way to see the world, on board a boat with family or friends! Who should we sent the quote to? Thank you, our sales team will contact you as soon as possible.